Warning: This post has contents that may be hazardous to mental health. It contains strong themes of suicide, suicidal behavior, and substance abuse. Reader discretion is advised. Have you ever had a moment where you heard the distinct and deafening sound of your own clock ticking down? I have only heard this sound a handful of times. The first few times, it was difficult to distinguish from the other garble in my mind. But, the last time this occurred, the sound was unmistakable. It happens when my physical state is badly threatened, but I’m not mentally aware. That is my defense mechanism that seems to be biologically programmed to protect me. It is what creates the Heath Ledger paradox. And that’s what I experienced. Personally, not proudly, I have attempted suicide between a half of a dozen and a dozen times in my life. I don’t really keep score; there is no tally anywhere. In fact, in total, I have only left a handful of notes behind. They don’t always correspond to the actual attempt, though. I am not a violent woman. My method of choice was almost always centered around substances. My very first attempt landed me in a bathtub with a belly full of pills. It was an unintentional coincidence between Sylvia Plath’s and Virgina Woolf’s suicides. I know this to be truth, because I was only in my early teens at the time. I had yet to read about these authors. And despite these attempts, even some carefully orchestrated with blatant drug interactions, I never succeeded. What was different about me that made me a survivor of my own wretched malice? Many a person has done these things accidentally! Marilyn Monroe, Michael Jackson, Elvis Presley, Janis Joplin, Jimi Hendrix, Bruce Lee, Brittany Murphy, and many others are examples in our modern culture of how accidental overdose happens. I met a guy in college that I stayed friends with. Eventually, we ended up working together. He was dismissed for failure to attend, and we all suspected he had a drug problem. A few days later, he was found dead in his apartment from a multiple-drug interaction. The guy ended his own existence with his own carelessness. How could he do it by accident and I couldn’t possibly do it on purpose? That’s the Health Ledger Paradox. It is easier to succeed when the mind is unaware. Last night, I accidentally set my foot onto the other side of the fence for a moment. I still have impacted wisdom teeth on both the bottom left and right sides. These wisdom teeth have risen up partially in the back, causing skin pockets to form. Occasionally, I will get something trapped back there and a small infection will form. If I treat it immediately with a rinse and keep the pain manageable, I can usually escape a trip to the doctor and an antibiotic. I detest going to the doctor to hear the same thing repeatedly. Yes, I know I need to have those teeth out. Though, I now have dental insurance, I do not have the money for a serious co-pay there. I just had a major surgery a month and a half ago. I don’t have the time or energy to spend in recovery. And I always feel worse on the “cillan” antibiotics than I did with the infection. Other women will feel me here. I usually end up with a worse infection in the end. I had some Vicodin remaining from my surgery. Admittedly, I hadn’t taken many. I had a problem where the Vicodin would cancel the Temazepam out. I would be up for hours, sleepless and still aching. I decided that my body needed rest more than I needed pain relief. I had to heal. Last evening seemed like a good time to take it. I don’t know how I let the situation with my teeth go from uncomfortable to agonizing. But, it happened more quickly than my mind could have processed. So, I took the Vicodin. I spent the rest of the night staring at the white porcelain bottom of a toilet bowl. At first, it was akin to other bad reactions I had to other narcotics. I do not respond well to Oxycontin or Percocet. And this was a similar episode. But, by the sixth hour, I knew there was something terribly wrong. My stomach had already emptied itself twice and was going for a third. This time, only water remained. By the seventh hour, it became clear to me. I leaned forward and wretched. It felt like my stomach was turning itself inside out, in hopes to vacate an invader. I literally felt empty, as if I had evacuated every ounce of anything I’d eaten in the last 36 hours. And it dawned on me. My body was having a reaction – but why? I had taken Vicodin before with great success. I took it after my surgery and this didn’t happen. I couldn’t muster the strength until the morning. I had only slept five hours out of fear that I’d never awaken again. I decided to refer to the almighty Medscape Mutli-Drug Interaction Checker. I thought I remembered doing this. Typically, I screen all new medications coming in. As I was trying to rattle my brain for all of my prescriptions, it occurred to me. I did do this, but I had forgotten a very important medication, Wellbutrin. bupropion will increase the level or effect of hydrocodone by affecting hepatic enzyme CYP2D6 metabolism. Significant – Monitor Closely. lamotrigine decreases levels of acetaminophen by increasing metabolism. Minor or non-significant interaction. Enhanced metabolism incr levels of hepatotoxic metabolites. That’s just the tip of the iceberg there. That’s among four additional interactions. Those are the most important though. That’s the reason I was hugging the toilet, wondering why my sedation was outrageous and my pain relief was minimal. 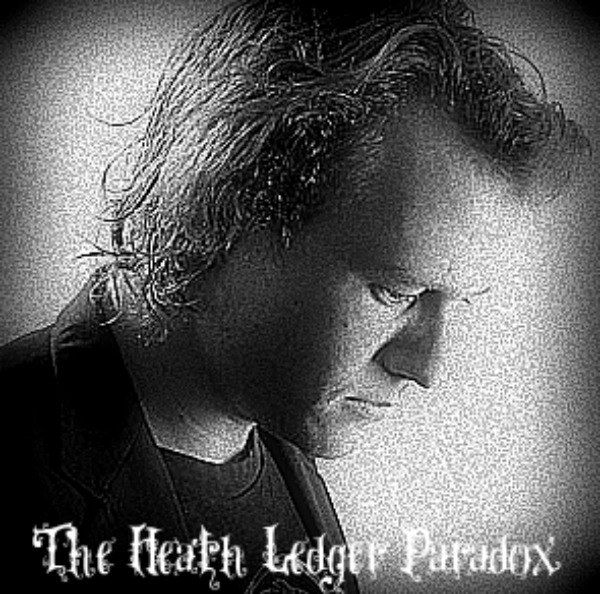 And I realized, I just set foot on the other side of The Heath Ledger Paradox. If it wasn’t for that mechanism, that beautiful inborn, DNA encoded device inside me, I would have been dead. Something in me told me not to take more medication when my pain relief was marginal. And that same thing kept me safe by alerting my body that there was a dangerous toxin that needed to be rejected from my stomach. There was still a tiny bit of knowledge encoded from some source that this was life-threatening. Not everyone has that, and most people with it can bypass the safeties with enough of a loading dose. That’s the aim in a suicide – to get past the safety, just like a gun. Except, when most people knowingly stand on that ledge and look into the void, they turn back. The point with accidental overdose is that all of that is gone. It’s like playing with a gun without knowing if it’s loaded or if the safety is on. That gun was loaded last night. Thank the powers that be in the universe that I have a safety. 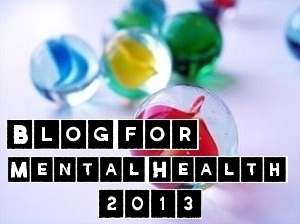 This entry was posted in Medications, Overdose, Social Issues, Substance Abuse, Suicide and tagged Accidental Overdose, Brittany Murphy, Elvis Presley, Heath Ledger, Janis Joplin, Jimi Hendrix, Michael Jackson, Suicide, Sylvia Plath. Bookmark the permalink.